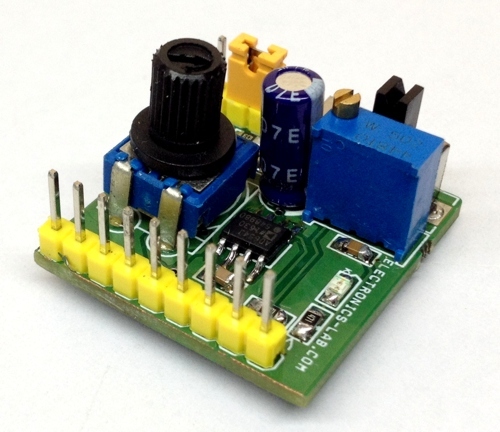 This stepper pulse generator project is an easy solution for stepper controller drive. 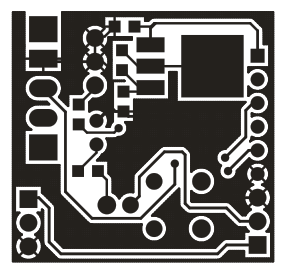 It’s a very important tool and can be used to drive stepper in standalone mode. It generates square wave pulses in frequency range 0-50Khz. 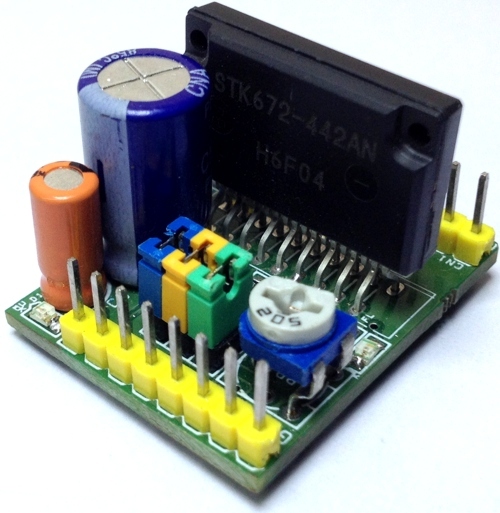 This project has multiple features which are a must for stepper controller. 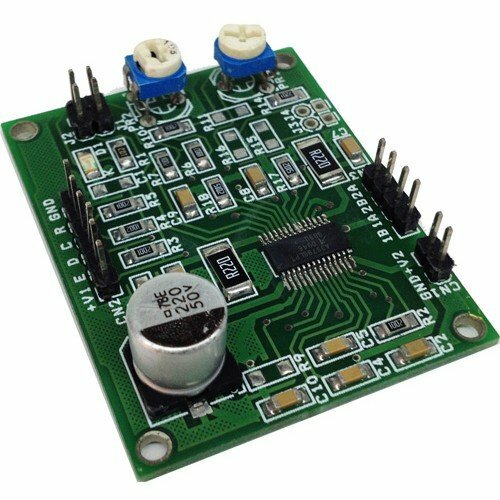 It has on board frequency generator with wide span of frequency, Slide switch for direction control and jumper for enable or disables the stepper controller. 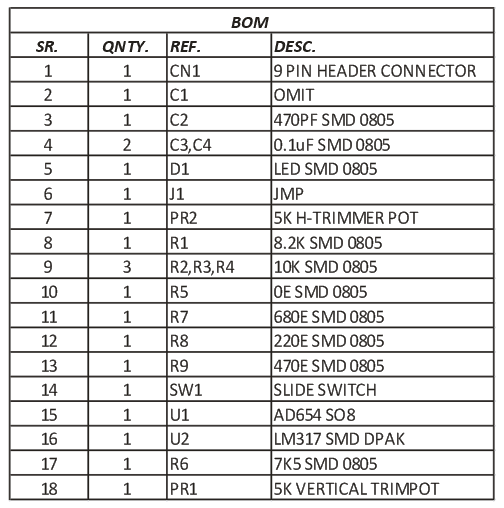 AD654 is heart of the project and its generate the pulse for stepper controller, output frequency 0-50Khz, higher frequency output is possible by changing CT capacitor value connected between pin 6 and 7. 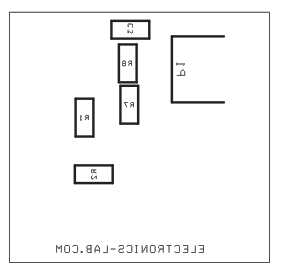 Refer to data sheet of AD654 for alteration. 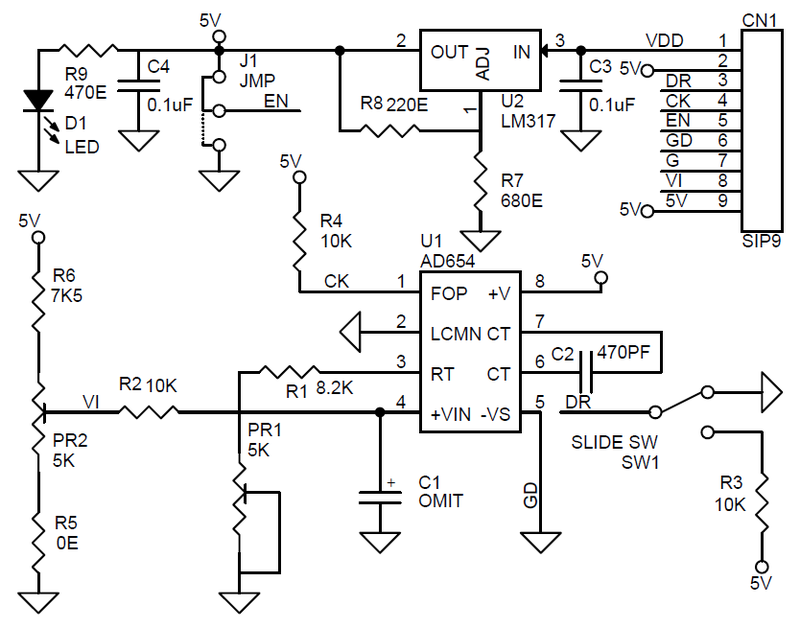 The AD654 is a monolithic Voltage to frequency converter consisting of an input amplifier, a precision oscillator system, and a high current output stage. 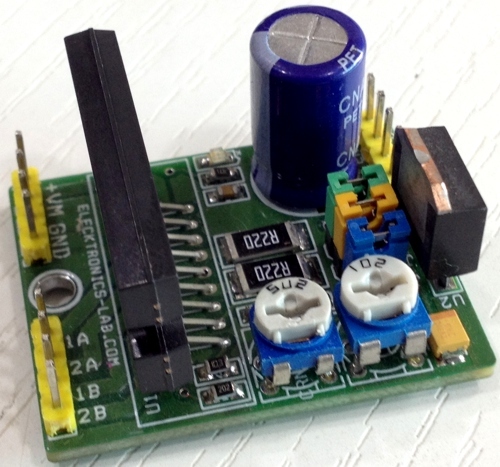 The board has on board LM317 regulator and have an input supply of 7-36V DC. 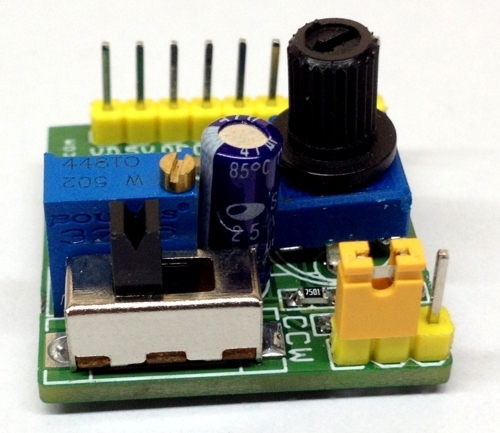 A on board LED for power indication, PR2 trimmer potentiometer to set the frequency. 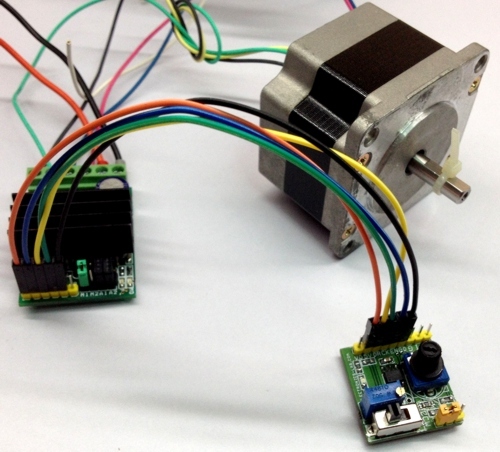 PR1 is to fine tune the frequency, slide switch SW1 to change the direction of stepper motor, J1 Jumper to enable or disable the stepper controller. 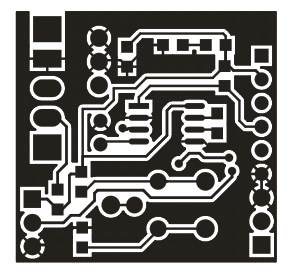 All outputs are TTL level. 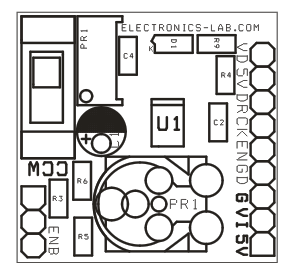 Change the R3 to 0E if stepper controller has opto-coupler input. This Pulse Generator works along with 2.5A Bipolar Stepper Motor Driver LV8772E but not limited to. Hello … congratulations for your project, it is very practical and simple … thanks for sharing your knowledge. I require this project already assembled. Can you sell them to me? I also need the driver.